Gift-giving is a billion dollar industry. It feels wonderful receiving a gift. Every day, millions of shoppers hit the stores in full force both online and on foot searching frantically for the perfect gift. Most people regularly buy presents for other occasions throughout the year, including corporate gifts, weddings, birthdays, anniversaries, graduations, dinner invitations, parties, and baby showers aside from purchasing holiday gifts. This frequent experience of gift-giving can create ambivalent feelings in gift-givers. Many enjoy the opportunity to buy presents because gift-giving offers a powerful means to build stronger bonds with one’s closest peers, friends, customers, family members and loved ones. At the same time, many dread the thought of buying gifts; they worry that their purchases will disappoint rather than delight the intended recipients. It is with this premise that QashGift was born. QashGift brilliantly combines the flexibility of cash and the thoughtfulness of a specially hand-picked gift with a few easy clicks on your mobile or computer. 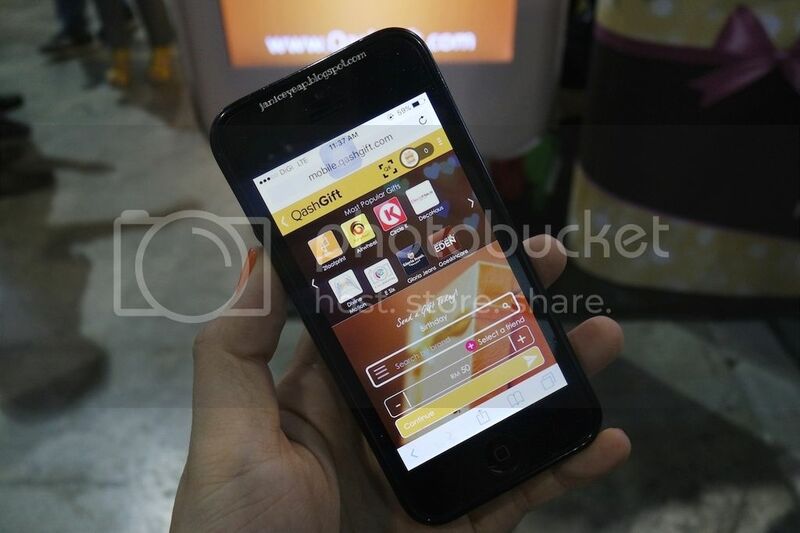 Brought to you by accomplished boutique web design and development outfit, Kemuncak Jaya Teknologi, QashGift is a unique digital solution that transforms the act of gift-buying into a wonderful shopping experience for everyone. With QashGift, gift buyers no longer find the process of selecting an appropriate gift a daunting one. In fact, they can rest assured that their recipients end up with the exact gift they desire. Naturally so, because their recipients pick out their own gift using their received QashGift account QR code! Meanwhile, recipients never have to receive another redundant gift that just sits in the closet, unused, again. Ideal for the tech-savvy urbanites with fast-paced lifestyles and busy schedules, QashGift fits seamlessly with its user-friendly, time saving, high security and smart gift-giving process. The QashGift process begins with gift buyers sending a gift to anyone with just their email address and mobile number. The gift will be directed to their QashGift account. If they do not have a QashGift account, they can create one instantly for free. The recipients then head to a merchant’s store and provide their QashGift QR code. Then, the cashier scans the QashGift QR Code and will prompt the recipient to input their 6 digit verification pin. Upon approval, they will key in the amount of redemption and they will receive a digital receipt confirming their redemption upon approval. With reputable merchants like EHSAN Living Style, Gloria Jeans, Circle K, Airwheel Malaysia, Garden of Eden Organic Skincare, My Eye Optometry, Raqtive, OriginalOmin, and many more, both buyers and recipients will be spoilt for choice. From as low as RM20, gift buyers can easily purchase multiple gifts from a variety of merchants from the comforts of their home with an attached personalized voice greeting. Both givers and recipients prefer cash as it is hassle free for the buyer and a sure hit with recipients. But let me ask you this; do you remember how it felt the last time you received a gift that you really liked? The joy, love and excitement you felt is something cash can never replace. This is what QashGift is about "Giving gifts, smartly. Everyone wins". L-R: Joanne Lee (Founder of QashGift), Samir Younes, Sarah (Project Strategist Manager of Kemuncak Teknologi) and Anuar Halim (Director of Kemuncak Jaya Teknologi). With QashGift, it is not only gift buyers and recipients who benefit. QashGift allows merchants to be a part of an increasingly high tech digital world at a minimal cost, while providing a new and trendy way to expand their customer base, increase revenue, enhance brand recognition and engage customers all at once. Retailers who are interested to provide QashGift facility for their customers can sign-up their business account at the QashGift website at www.qashgift.com or call the hotline number at 03-2035 5858. QashGift is available in both desktop and mobile versions.